This traveling exhibition talks about Georges Méliès as a pioneer of cinema and as a storyteller, based on testimonies from professionals in the contemporary Spanish film industry. 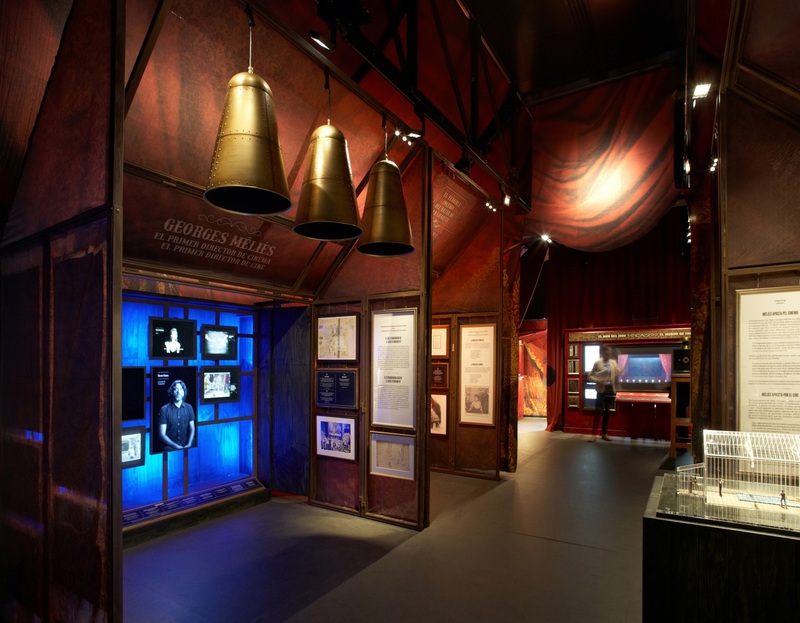 This traveling exhibition is dedicated to a pioneer of cinema: Georges Méliès. The seventh art was, at its origins, a fairground spectacle produced by means of tricks and optical illusions. Its first audience were a workers, who were just beginning, in the early 20th century, to enjoy some moments of leisure. Before there was a consolidated cinema industry, Méliès devised a cinematographic language of his own, whose grammar was taken from fairground shows. Here, professionals from contemporary Spanish cinema (actors, directors, scriptwriters, set designers, etc.) talk to us throughout the exhibition about the validity of his contributions today. The Fundació Bancària "la Caixa" was looking for an exhibition that could travel around a large number of Spanish cities. To that effect, they developed a system of "deployable units", a type of convertible vehicle designed to function both as a means of transport and as an exhibition space. 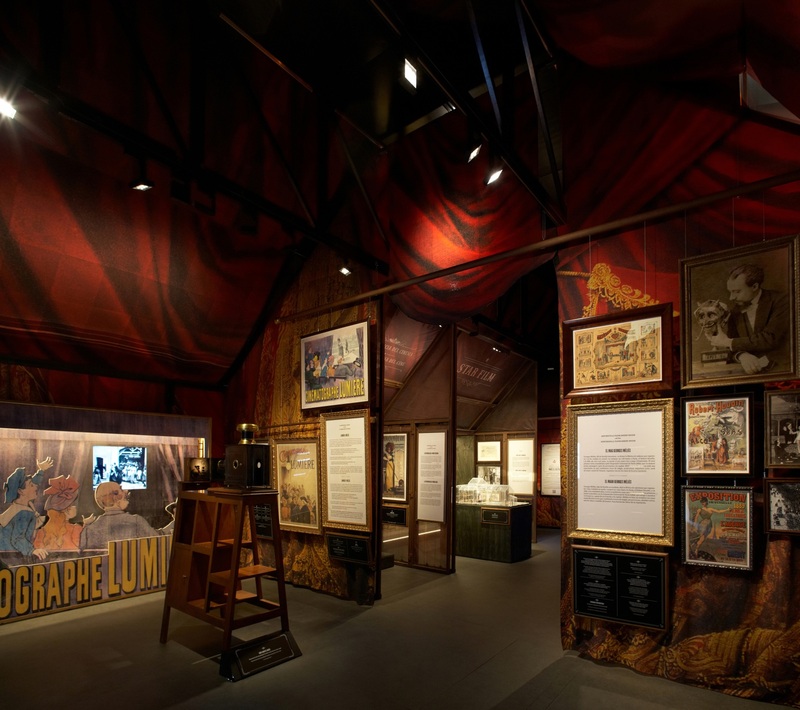 The concept was to harmonize this type of traveling exhibition, establishing a parallel with the theme of the exhibition itself, and how Méliès’ films were shown at fairs. Thus, the interior of the two rooms is compartmentalized into small spaces that simulate fair booths, decorated with the same stylistic resources that would have been used at that time, relying on tulles, curtains and transparencies. 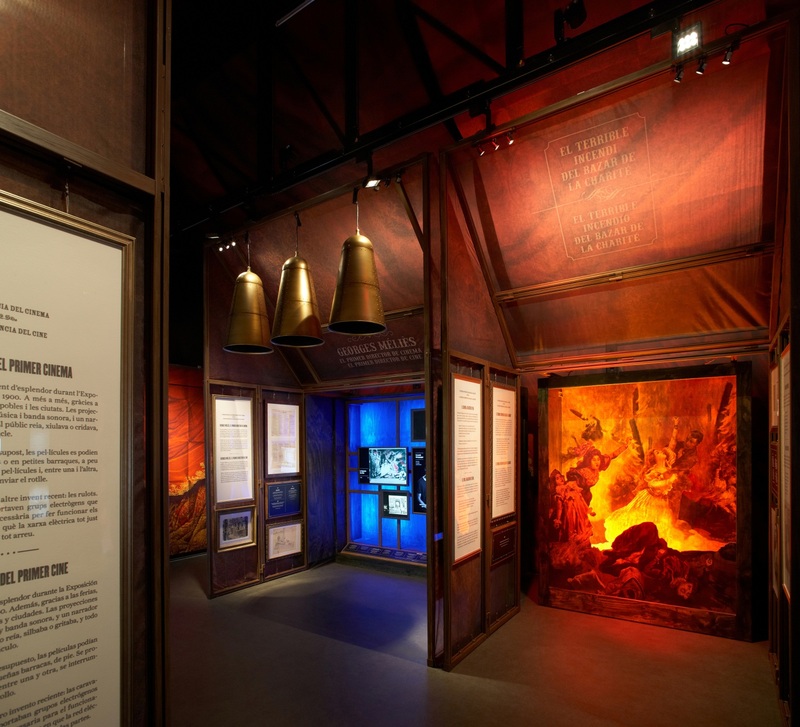 After an introduction, the exhibition is divided into three main areas. The first area is dedicated to the Méliès’ relationship with the Lumière brothers and the repercussions of the invention of the projector. 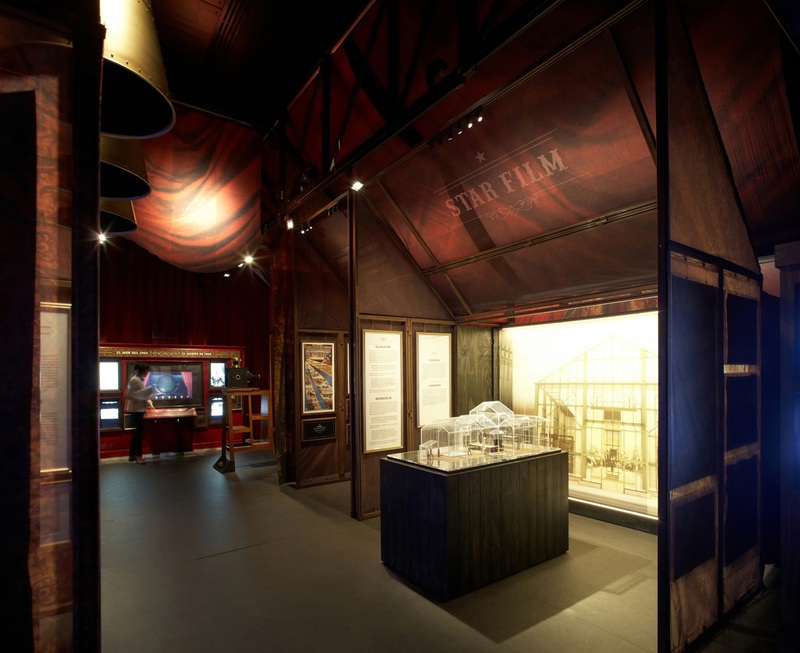 The second area is made up of a series of stands that explain how Méliès became the first film director, inventing a new industry. The third area is located in the second room and shows Méliès’ trajectory from rise to splendour, and to his fall into oblivion, as well as the subsequent recovery of his work. Companies like Star Films and Gaumont ended his career and relegated him to be forgotten, expelling him from the industry which he helped to create. Finally, the exhibition ends with a great tribute to Méliès’ work, through its influence on contemporary productions, such as the film Hugo, a series images used in a concert by the group Vetusta Morla, or the music video for the song “Tonight, Tonight” by the Smashing Pumpkins.